Children run away from home due to various reasons, such as poverty, domestic violence or abuse, broken family, academic pressure, abuse from teachers, attraction to city life and often as the result of child-trafficking which is a huge problem in India. The child restoration and counselling can bring the children back to live in a protective environment with their own families. COME has been conducting outreach work since its beginning to re-unite the run-away or trafficked children found on the streets with their families. We have outreach staff in all the three centers- Delhi, Lucknow and Gorakhpur. Everyday our outreach staff go to the streets and railway stations to rescue the run-away or trafficked children and bring them to our restoration centers. Children wandering in the railway stations are also handed over to us by the Railway Protection Force (RPF). Our counsellors will provide them with counselling, enquire about their details and convince them to return to their homes. We also provide their family members with counselling to ensure a safer environment for the children at home. Many a times the children will be reluctant to go back to their homes due to the adversities in their families. They find the street life more comfortable and do not want to leave it. It requires much time and effort in re-uniting the children in such cases. Our counsellors and outreach staff coordinate their efforts with the close co-operation of local police authorities and the child welfare committee. The children are brought before the Child Welfare Committee (CWC) in the respective cities. The CWC then decides what to do with the children. If the families can be traced and safety of the children can be ensured in their families, they will be re-united. If the families cannot be traced or if restoring them endangers their safety, they either stay in Apna Ghar or are transferred to other organizations, as per the direction of the CWC. Regular follow-up on the re-united children is carried out for 2 years. Ever since the inception of the Child Restoration Programme, we have successfully re-united about 3000 children with their families. This year, from April 1 to September 30, 172 children were contacted and 120 of them were re-united with their families. Among the 120 children, 95 were restored through the Child Welfare Committee (CWC) and 37 children were transferred to other organizations as per the orders of the CWC. Most of the children are from Bihar, West Bengal, Orissa and Eastern Uttar Pradesh. Some of them only know the name of their villages. It takes a lot of hard work, often over several days, to trace their addresses. The district headquarters and local police stations may not be known in many cases. In such occasions, the contacts and experience we gathered from the past 17 years of our work usually come in handy. We use our contacts and the internet sources to trace out their exact places and contact their families. Sometimes, when none of these work, we even take the children in different directions based on the hints they give, so that they might identify their places. It might take several tries to identify the right place. No child ends up in the streets on their own choice, situations force them there. For many years we have dealt with many such issues and tried to resolve them in order to re-unite the children. This year we came across with something sad when 10 children were handed over by RPF to us in Gorakhpur. The children were travelling together from Delhi to Bihar and were spotted by Railway Protection Force (RPF) in Gorakhpur. The children were from economically poor backgrounds and were from different villages. We were eager to know what brought them together and travel to Bihar. The children opened up to us after we developed a good rapport with them. All the boys belonged to Islam religion. The parents were from economically poor backgrounds. Most of them had more than four children to take care of. Due to the financial difficulties, they had no choice but to send away their children to Madrasas, where religious education is imparted to them. The place where the 10 children were sent to was a Madrasa in Delhi. The children couldn’t adjust to the strict routine and the environment in the Madrasa. They had to rise up early in the morning, recite religious prayers, study religious books and follow very strict discipline. The children decided to flee to Bihar with the hope of finding some job for themselves. They had every chance of being delinquents, trafficked, child labourers or end up as rag-pickers or beggars on the streets. We re-united the children with their families and provided both the parents and children with counselling. We convinced the parents to give their children formal education more importantly than any other education. We are doing follow-ups to make sure those children are safe. All our academies have residential facilities and are fondly called Apna Ghar (which means Our Home). We provide a hygienic and protective home environment, food, medicine, clothing, entertainment, basic education and life skills training as well as psychological and emotional counselling to those children who are orphans, have no one to take care of them or are financially disadvantaged. The children find a sense of belonging, which they had lost at a very young age or had never felt in their short lives. They live in the care and the guidance of our staff in a harmonious atmosphere. They learn to help each other with a mentoring system (brother/sisterhood), and the children and our staff members live under one roof as ONE FAMILY. The children are encouraged to pursue a higher academic interest or vocational training, wherever their interests lay. Our counsellors and care-takers provide them with guidance throughout their adolescence as they prepare to start an independent life. Even after leaving the academy, the children receive our continued support so that they learn to live as self-sufficient and contributing members of society. More than two hundred children are living permanently in our five academies. In order to integrate our children into society we send them to mainstream schools like other privileged children. Some of them who show interest in English medium education are given the opportunity to fulfil their dreams. For the children who perform well and show interest in learning English, we give them the opportunity to study in the best English Medium schools available. The English Medium Schools in India are relatively more expensive than other schools. Studying in an English Medium school gives a lot of confidence to an underprivileged child. eering college in the annual sports events. All the children and staff at our home were celebrating with full enthusiasm. 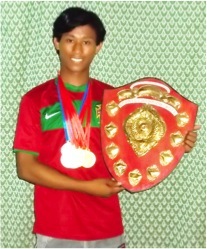 He won first prize in all of the six events he participated. We were so proud of him. 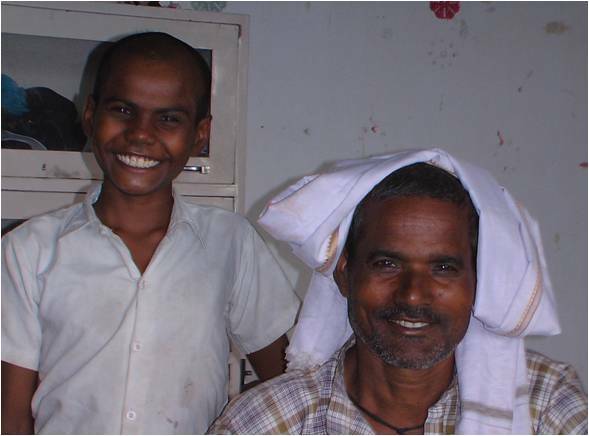 Rajeshwar became a role model for other children in Apna Ghar. COME has taught him to fight against all the odds and hardships in his early childhood, helped him to gradually improve in his academics and finally he worked hard enough to get admission in Diploma in Civil Engineering. We look forward to seeing him reaching greater heights in his life. We provide non-formal education to children from homeless families living on the streets and runaway children loitering around public places. These children usually work as rag pickers, beggars or selling petty items. Their parents/ guardians are reluctant to send them to school. The children are deprived of even basic needs and education. We provide bridge-schooling (non-formal education/functional literacy) to these children as well as counselling to them and their families, so that they can join main-school system smoothly in a short period. We are very proud to say that this year we were able to enroll 12 of the 30 students in our Bridge Schooling Programme in Delhi, to mainstream schools. It was never an easy task for our teachers to train them, discipline them and make them competent enough to study with other children in the reputed schools. The figures from the Lucknow programme also gives us joy and pride. A total of 50 students are doing Bridge Schooling and we were able to admit 13 of them to the mainstream schools. During our line of service, we come across so many people who have heart-touching life stories to tell. But this time it was us who touched the heart. One morning a middle aged lady with two children came to our Lucknow Apna Ghar. She wanted us to take care of the children as their father had abandoned them and their mother was dying. “Why is she dying and why don’t you do anything about it?” we asked her but all she did was look at our faces helplessly. So we decided to find out the real story. We went to their village where we found the children’s mother, Lakshmi, reduced to a mere skeleton, lying under a shed wrapped up with grass and plastic sheets. 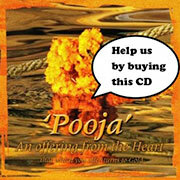 She had a hole in her heart and it required two hundred thousand rupees for the operation. Her husband was not ready to ‘waste’ any money on her because she was no longer attractive and charming. He thought it would be more profitable to marry a younger woman after his wife’s death than to treat his ill wife. So he abandoned the family and went to Mumbai. Lakshmi’s condition was heart breaking. We wasted no time in taking her to a specialty hospital. We came to know that all these days she had been taking pain-killers since she couldn’t afford the right treatments. We took her to Sanjay Gandhi Post Graduate Institute of Medical Sciences in Lucknow. The cost of the operation was around Rs.200,000. We managed to get Rs.75,000 as help from the State Government and the rest we managed by ourselves. The operation was a success, the mother lived and she was back to her normal self in two years. We also contacted her husband, convinced him to come back and look after his wife and children. The children were placed under our Bridge Schooling Programme. The children, Shubham a three year old boy and Khushi, a five year old girl, were successfully enrolled into a mainstream school this year and we continue to support their education. COME was the result of my dream of many years. When I started her, I wanted to manage it single handedly. But the reality struck me hard. There were many occasions when the financial condition was from hand to mouth. Over the years the love and support given by friends from different countries have taught me several valuable lessons. Without you COME would not have reached where it is now. All of you who supported me share equal credit of what I have accomplished for my children over these years! The smile on their faces, the hope that sprouts in their eyes and the wonderful future they are stepping into are all equally your accomplishments too. It is a very special experience of “ONENESS” blended with GRATITUDE. With all my heart I want to thank each and every one of you for enabling me to experience these wonderful moments in my life and it’s all because of you.